It’s the 1st June! That means it’s time for a new Sew Kitschy block (and likely a comment about how fast the year is flying, but I’m sure you’ve heard it all before). Our Betty girl is definitely the hostess with the mostest, and always loves to entertain. Her kitchen cupboards are just full of items that are brought out for when friends just drop over. Like this water jug and cups set. Betty does like a lot of red in her kitchen, but she assures me she won’t mind if you go with a different colour theme (even though secretly she does like hers best, she doesn’t always know best!). So this makes the sixth block in the set of 9. Two thirds of the way through! If you’ve missed any of the earlier blocks, you can swing by my Craftsy shop and pick them up, or if you’re an eager beaver, buy the whole set at once so you don’t have to wait for the rest of the blocks. 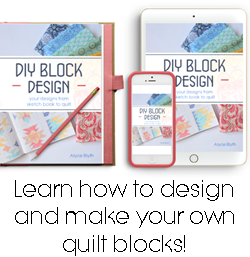 Otherwise, continue your usual routine and download the free block this month and get to sewing! This one will be free for the month of June, then it will become a paid pattern like the rest of them (changes on 1st of the month Aussie time). Because. Well. Bills. 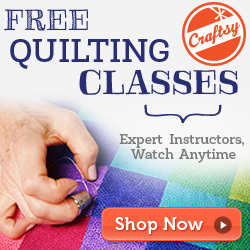 Pop over, pick up the pattern and let’s get sewing! Can’t wait to see your blocks! Make sure you link them up back here so we can all admire them! Happy sewing, my friends! Gah! I'm getting so far behind! Yippie! I'm having so much fun making these. Oh no, I am behind too. Betty and I will have to set a play date.. Such wonderfully fun blocks - wish I had time to join in.